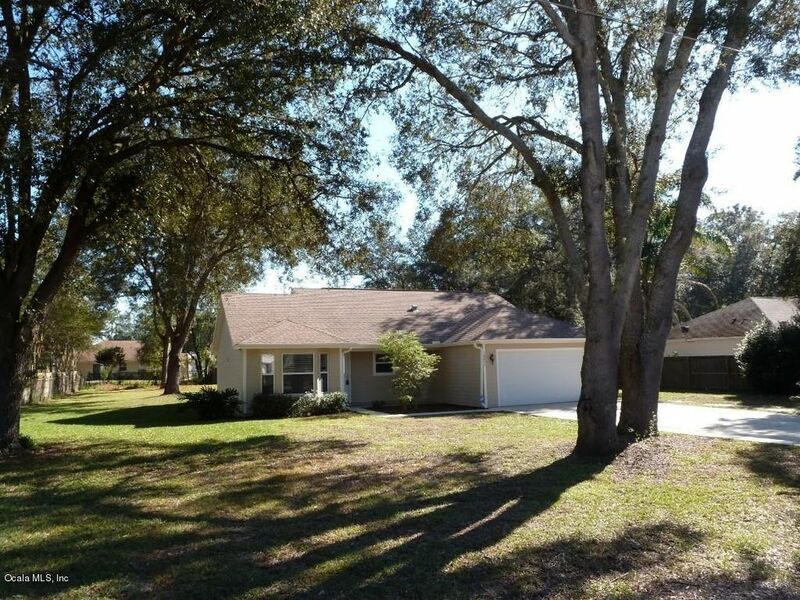 Location, Location on this completely redone spacious 3/2/2 on .48 acre lot. You won't find a better street than this. Dead end with established neighborhood. This is right across the street from The Villages @ Mulberry Square. Publix, Cody's Roadhouse, many dinning, shopping opportunities. VA Clinic across the street as well. No HOA! New Kitchen, New AC, Well Tank, all new flooring, painting, shelving, lights...everything. Hardee Board construction and did I say Beautiful lot. Popular Grey color scheme, stainless steel appliances, granite counter tops everywhere,striking white cabinets! A must see in a prime location. Village Charter Schools available to apply for if you work in The Villages! Directions: From 441 & CR 42, turn West on 42 to 92nd Ave on the right. House down towards end of street on right. From 301 & CR 42 Turn left on 91st CT, right on 163rd St. Left on 92nd Ave.